The Stewardship Committee is pleased to announce our 2017 Avila in Action grant winners. These six groups were selected from 24 applicants. Thank you to all applicants continuously working to change Chicago and the world through new ideas and God’s work. Coalition for Spiritual and Public Leadership ($7,500): CSPL is a leadership and community organizing training program grounded in the Catholic spiritual and theological tradition addressing justice issues in the Chicago metro area. In its second year of existence, the group will focus on Maywood and Cicero as target communities to host “Know Your Rights” trainings and increase civic engagement. 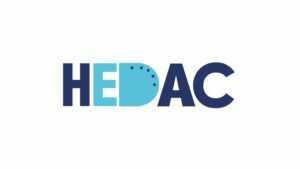 Honduras Educational Development Assistance Corporation ($7,000): HEDAC provides educational and vocational opportunities to children in Morazan, Yoro, Honduras with the vision of replicating their work in all of Honduras and developing a sustainable economy. HEDAC operates Morazan’s only after-school center and will use the grant to complete the center’s kitchen to provide nutritious meals for the poorest students while facilitating culinary and entrepreneurial programming. UMOJA Student Development ($5,000): Umoja facilitates school-based Restorative Justice models that emphasize repairing harm over the need to assign blame and punishment in discipline situations. Restorative Justice is key to breaking the vicious cycle of harm, violence, and retaliation. During the 2016-17 school year, Umoja programs served 3,400 students at 13 public high schools across Chicago. 90% of Umoja students are low-income, and 97% are youth of color. Southwest Organizing Project ($5,000): As part of its Reclaiming Southwest Chicago campaign, SWOP seeks to re-create a neighborhood of good schools, safe streets, and affordable homes. SWOP had much success in an initial target area (Rockwell to California, 59th to 63rd STs. ), where crime has been cut in half, the schools have dramatically improved, hundreds of families have saved their homes, and more than 50 vacant buildings have been transformed into over 100 new homes. SWOP now seeks to expand their comprehensive work to a 70-block target area with a model that is replicable in other Chicago neighborhoods. The Bloc ($5,000): The Bloc mentors, tutors, and inspires Chicago 7th through 12th graders on the West Side to reach their full potential through engagement in their boxing program. The Bloc offers students homework help, technology skills training, and access to paid internships. The grant will expand the Bloc’s ability to expose kids to the world beyond their neighborhood through student-mentor outings. 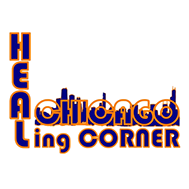 The Healing Corner ($3,000 towards purchase of supplies): The Healing Corner goes to street corners directly impacted by violence on Chicago’s West Side and engages people in order to spread love and restore hope. Within an hour of a Healing Corner event, a previously violent area is transformed into a neighborhood, community event, even if only for a few hours. Run entirely by volunteers, this is done by handing out food, hugs, and resources while building a dialogue around the issue of violence. 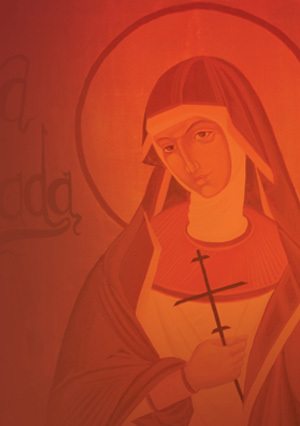 St. Teresa of Avila’s grant will be provided in purchase credits for food, supplies, and gun locks. Stewardship is rooted in the idea that all we have is a gift from God, and with grace we gratefully give back to God from what we have been given. In the same way the Church teaches these principles, the church itself strives to live by them. In 2015, the Stewardship Committee along with the Finance Council made a prayerful decision to dedicate 6% of our Sunday Collections to organizations and individuals outside our own ministries who are working to change the world for the better, and to seek input from the parish on how the funds are distributed. This initiative has been named Avila in Action.